The Superintendent’s Student of the Month is Taylor O. Mackie, a senior at Savannah Arts Academy. Taylor was selected because of his grades, accomplishments and outgoing nature. Taylor has shown improvement each year of his academic career. His 9th grade GPA was 88 and despite a challenging curriculum, including several AP courses, his 12th grade GPA stands at 96. Taylor is also a very talented and accomplished artist. 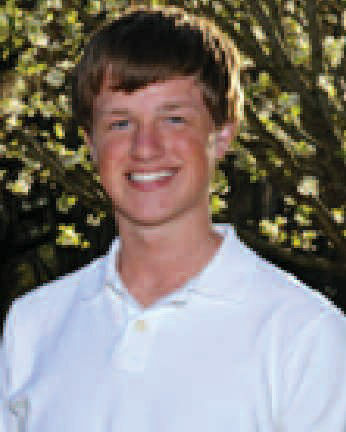 A few of his outstanding achievements include: One Gold Key and four Silver Key Awards at the Georgia Scholastic Art Awards, Georgia All-State Art Symposium – Honorable Mention, Governor’s Honors Program – Visual Arts Finalist, Best of Show at the New Beginnings Student Art Exhibit and several schoolwide art competition awards. Taylor is involved in numerous school activities. He is a member of the Odyssey of the Mind Team, People to People Student Ambassador Program, Making a Difference Club and National Art Honor Society. As a part of the National Art Honor Society, Taylor has contributed ten hours of service each year painting windows at a local McDonald’s and created ornaments for the Tree of Life Foundation. Taylor has also helped spearhead Book Drives for schools in Uganda, served as a participant in the Invisible Children’s organization and volunteers at Union Mission. Asked what motivates him to be his best, Taylor says, “The constructive criticism from people around me greatly contributes to my success and constantly motivate me to improve. My primary aspiration is to give the world something it has never seen before.” After graduation, Taylor plans to attend the Rhode Island School of Design. Taylor was recognized by Dr. Lockamy and presented with an award plaque and $100 savings bond at the regular board meeting on April 1, 2009.